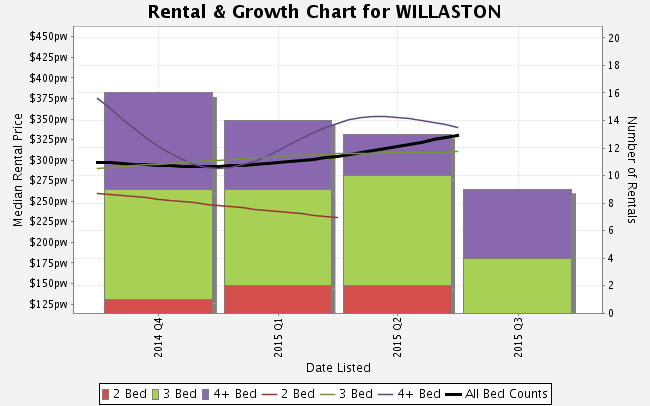 Willaston is approximately 3 square kilometres with 1 park covering nearly 4% of total area and is 40km from the Adelaide CBD. The total population in 2011 was 3,294 which has seen a 2% increase in population in 5 years. The average age of people living in Willaston is 40-59 with 46% being families and 54% being singles. The median price for a 3 bedroom house is approximately $290,000 and the median rent is approximately $290pw. William Paxton and Samuel Stocks obtained land in the area in 1848 and 1849. 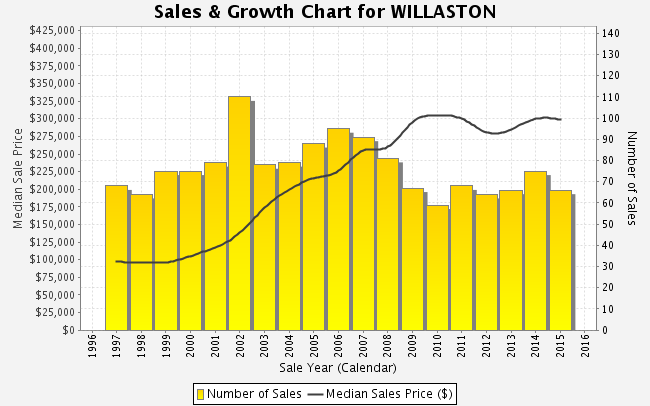 After Stocks died in 1850, Paxton laid out the village called Willaston. The village may have been named after Willaston in Cheshire, due to a probable association with the Stocks family. The Willaston Post Office opened on 1 November 1864. For more information on properties in Willaston call (08) 8522 4711 and speak to a local market leading agent with the Ray White know how.